Retired Green Beret: Was Congo's Ebola 'Bungle-In-The-Jungle' A Planned Mishap? Now this is setting the script: the valiant doctors and aid workers are unable to break the flow and transmission of the disease because of those pesky Islamic rebels... the militia, to be specific. In addition, don’t forget to expect “more people to become infected!” We have had more than a few scares over the past couple of years with elaborate precautions to transport Ebola-infected patients into the U.S. for treatment: a preposterous action considering the potential for a release into this country. 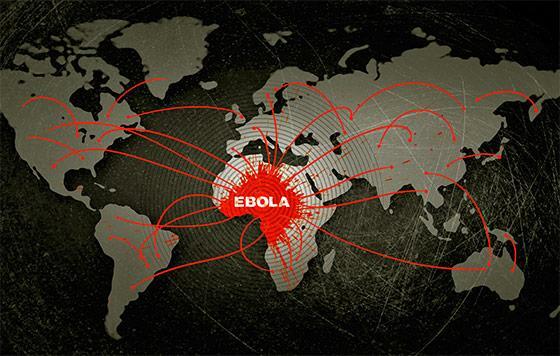 If a government is going to release it, the disease (in this case Ebola) is still not as lethal as they need it to be. Rest assured, they’re all working on ironing out these “glitches” in order to follow the plan that originated with Thomas Malthus. We are seeing a controlled laboratory experiment proceeding in China regarding surveillance there: a total surveillance system that will be tested on their citizens and then adopted (and adapted) by other nations for use on their own citizens. Conditions are perfect for this type of “lab,” as China is a controlled Communist country and the technology is high enough to be perfected as the society is already compliant and under complete governmental control. This kind of “lab” would not be feasible in African nations where power and running water alone are in short supply and cannot sustain all of the infrastructure needed for the surveillance grid-state in China. For testing of biological weaponry, however, African nations (especially those such as Congo and Zaire) are perfect for the release of created viruses and other tailor-made bio weapons. Sound farfetched? Consider the releases of Bacillus subtilis by the U.S. government to “test” the spread of microorganisms in civilian mass-transit facilities such as subways and buses just a few years ago. Consider all of the times the government has tested nuclear and biological weapons on soldiers and civilians. Africa is perfect for them to take existing diseases and structure them for even more lethality. When the time is right, quarantines could be ineffective and permit passengers that are infected to board aircraft and spread the disease in the course of travel. Or they could simply transport an infected patient and allow the disease to escape from quarantine and controlled lockdown. If you doubt this potential, you have only to read about Bill Gates and his lovely wife’s belief in depopulation as a means of “fixing” the planet. This is the same Bill Gates, by the way, who (with a consortium of investment firms and tech start-ups) plans on placing 500 satellites into orbit to enable real-time monitoring of every inch of the surface of the globe…sometime next summer. Ebola is a serious disease, but what is even more deadly and more serious is the group of people and moneyed interests that wish to form a global government. They have the political connections, the money, and the alliances to effectively alter every facet of a nation and even to destroy it militarily. No heinous action is outside of their reach. Ironically, all of these people…all of them…believe that depopulation is the only way to accomplish this “utopian” global governance effectively. These oligarchs and controllers view those not in their company and of their ilk as less than insects to be crushed, and at the most to be their slaves and servants. Depopulation is their goal, and a deadly disease would enable it without culpability. This Ebola outbreak is more likely a “planned mishap” in a laboratory with human beings as the test subjects. The results of these experiments may eventually be used against unsuspecting populations to reach the end-state of global rule, minus a few billion lives or so.